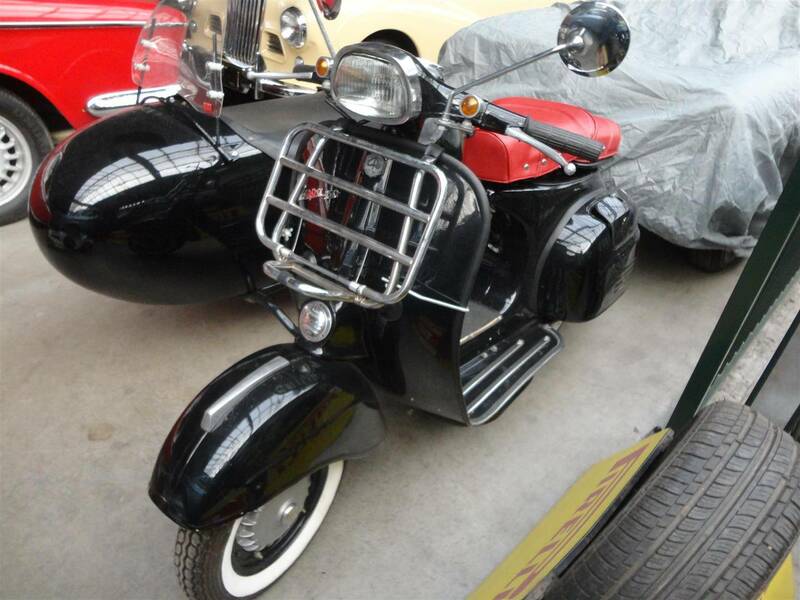 A VERY nicely restored VESPA scooter with sidecar. VERY rare and VERY nice. Comes with Dutch registration and runs/drives perfectly. Big choice in bikes and mopeds in ''''the Stolze Collection''''!